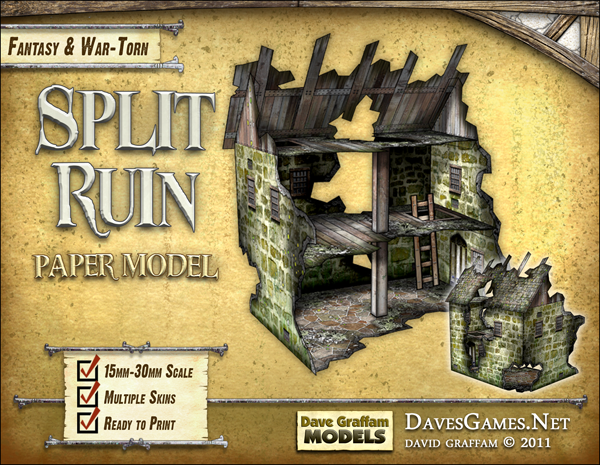 For your printing convenience, the Split Ruin includes a singled-layered version that's easy to print right away. 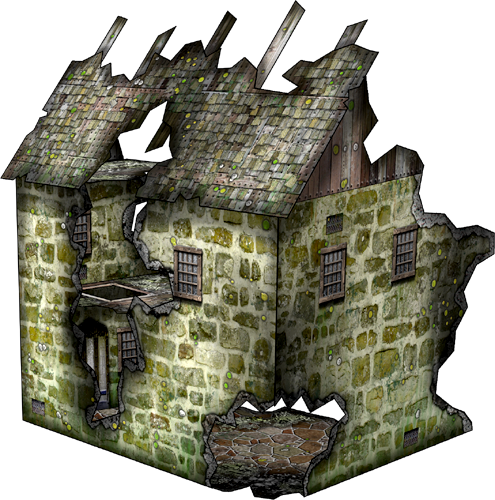 The Split Ruin has a roughly rectangular footprint of 5.25" by 6", and stands 7" tall at the highest point. 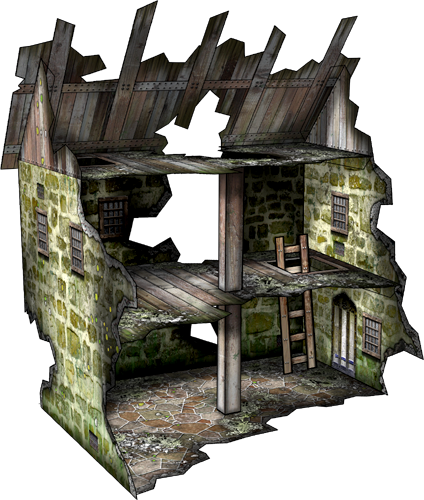 This title was added to our catalog on April 12, 2010.